Here are our changes so far this year..
- We changed the sorting on the "Add a Referral" page to default with the Main Team Leader first then all then the Team Leader's name alphabetically. This should help Agents quickly add referrals to the main Team Leader. - Added Visual Status Guide to quickly give you a visual reference of the referral's status in your referral funnel. - Added the image of the user who referred the referral. - Now Team Leaders can set the number of days in which referrals should be followed up with. Even though we don't recommend it you even have the ability to turn off follow-up dates for new referrals. - Everyone loves it!!! 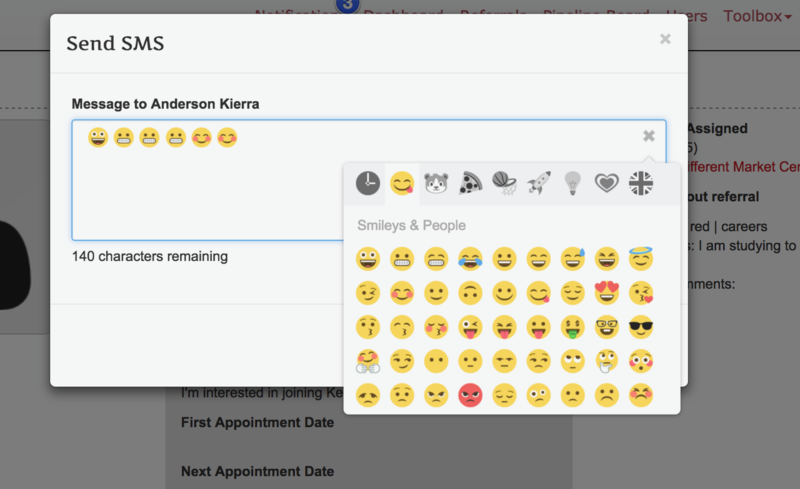 We added the ability to send Emoji's when texting. Public Programs Library has arrived! Expand your programs. Add programs that other Market Centers have shared to your program library. We are thrilled to introduce our Public Programs Library! You read that right, PUBLIC! Users now have the ability to share and use email programs created by other users! Let’s face it, some of us can create a killer drip campaign in a matter of minutes while others aren’t sure where or how to upload a picture. Well, we’ve got you both covered because together everyone achieves more! You can access the Public Programs Library by going into your Toolbox > Programs and selecting 'Public Programs Library'. Once you are in the Public Programs Library you are able to peruse hundreds of Email programs created by all recruiting bridge users! Click ‘View Rules’ to preview the rules created for that campaign and from there you are able to preview what the Email looks like. Like what you see? Add it to your library by simply clicking 'Add to your Library'. Not in the sharing mood? 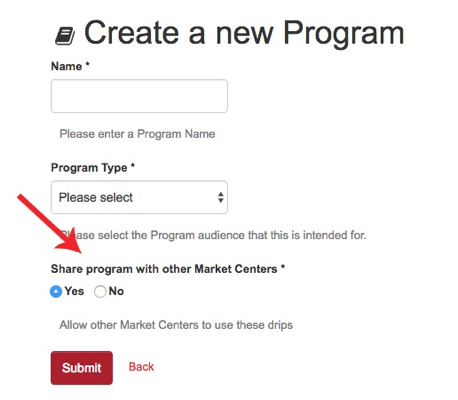 When creating your Email Program you can select whether or not you want your program shared with other Market Centers! We hope this will take the burden of creating new programs off your shoulders and increase your productivity! As always, if you have any questions please reach out to us. BrokerMetrics is coming to recruiting | bridge! Now all of your recruit's information will be in one place! You asked and we listened! We’ve never had a stronger call out from our clients than the one we’ve received for BrokerMetrics integration. 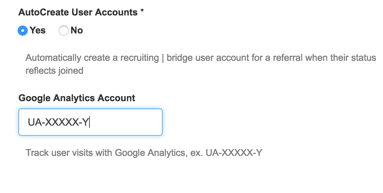 Users can now upload broker metrics data directly into their recruiting | bridge. Whether, you want your assistant to upload sales volume for future appointments or you want to call your entire MLS you will have ALL ACCESS information at your fingertips! This feature will be a game changer when structuring your drip campaigns! Get more detailed with how you segment your pipeline and set referrals up on drip campaigns with all of this new data. Now you will have all the volume and office data you need for each one of your recruits and can put them on more specific campaigns. Everyone will now have a ’Notifications’ tab at the top of their recruiting | bridge home page. We know you get bogged down with hundreds of emails every day. Here, we will be able to keep you up to date on the latest advances, messages and notices as well as progress relating to your specific performance and goals. Calling all nerds! You can now track all of the activity running to your Market Center landing pages and analyze how best to market your page and drive the type of traffic you are looking for! 1. You will need a Google Analytics account. You can sign up easily, at http://www.google.com/analytics. You should be up and running with website tracking! As always, if you have any questions you can reach us at 843-303-5600 or contact@recruitingbridge.com. Now you can customize all of your marketing materials with a custom QR code linked to your landing page. While you advertise your business or listings you can simultaneously build your profit share tree with active, licensed agents. We are thrilled to announce that you will now be able to have your own QR code linked to your landing page to have printed on your business cards, yard signs and any other collateral. This means you will be putting your landing page into the hands of active agents receiving your marketing materials, business cards or visiting your listings. Abbreviated for Quick Response Code, a QR Code is a barcode of sorts that is machine-readable and contains information about the item to which it is attached. In our case it is a 2-d barcode attached to your customized landing page. When scanned with a mobile device, this code will bring people directly to your page where they can enter in their information and will be automatically sent to your Team Leader with your name as the referring agent. Perfect for agents on the go! We know have Eventbrite Integration! You now have the best recruitment management tool and the best event management tool at your fingertips! We are excited to announce that we have seamlessly integrated our recruiting | bridge system with Eventbrite! You can now build events in Eventbrite, link it to your recruiting | bridge account and landing pages to easily invite recruits and potential leads to your market Center events and keep your agents up to date on your Market Center’s training calendar! 2. Log into your Eventbrite Account, Click Allow and start planning! Now your upcoming events will be displayed on your ‘Lead Capture’ pages and users who fill out the lead capture form will also be given the opportunity to register for these events. As always if you have any questions about getting started with your new Eventbrite capabilities you can reach us at (843) 303-5600 or contact@recruitingbridge.com. Get recruiting | bridge for free! With our latest feature released we have now given you the ability to leverage recruiting | bridge across multiple vendors. We know several market centers have a relationship with Real Estate schools and we wanted to make it easier for you to alert them when an 'Unlicensed' lead arrives in your bridge. So we've added the ability to forward them a copy of the lead's information once an 'Unlicensed' lead shows up in your bridge. This will allow them to get them to follow up with this lead quicker, enroll them quicker and shorten the life cycle for them to start producing in your market center. And since we are not only generating leads for your Market Center but also for your primary "Real Estate" school several Market Centers are subsidizing their cost of recruiting | bridge or leveraging their partner 100% for the cost of our system! It's a Win, Win, Win! To get to this feature just edit your Market Center details and look for it in your "Referral Rules" section. Turn your Referrals into Users! We know that it can be a pain for you to remember to create a User account for a Referral once they join your Market Center. We wanted to make this easier for you so we have now implemented the feature to AutoCreate Users from your referrals once they join your Market Center. You don't have to do anything on your end. Once a referral's status is changed to "Joined" we automatically create a user account for them and send them the details. So now they can start sending you their referrals as soon as they start! If you still wish to create this users manually you can turn this feature on or off in the "My Center Details" section. Drive traffic from Facebook to your recruiting | bridge landing page! A step by step guide to help you create Facebook ads to drive traffic to you recruiting | bridge landing pages. Determine if you're going to use the Recruit Select domain, or a custom domain. A custom domain can be used for about $12 / year. 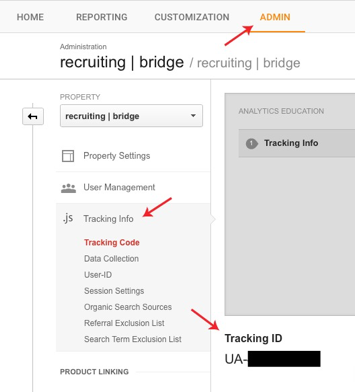 If a custom domain is used, you’ll need to forward to your recruiting bridge page. You'll need a Facebook Business Page to place the ad. Choose the objective for your campaign. You'll typically want to "Send people to your website"
Name the campaign, and then navigate down the page. Audiences - you can either use a custom audience (list of names you’ve uploaded), an audience based on locations, or an audience based on other interests, demographics, professions, etc. You'll also select a target age group and gender for the ads. Next, you'll set a daily budget for the ads and a schedule for the ads to run. You can then "optimize and determine how you are charged". FB defaults to "pay per impressions and 'get more link clicks at the best price'; which is what I often use. You'll then determine the ad scheduling (Whether you only want them to run at certain times, or throughout the day), and if you want FB to spread them throughout the day, or to run the ads as quickly as possible, thus exhausting your daily budget quickly). Next determine how you want the ad to look; do you prefer one main image, or multiple images in an ad. Next, you let FB know which business page you’ll be using (if you have more than one). You'll then enter the text you want to show at the top of the ad, the Headline Text, and an optional description - all used to describe why someone would want to click on your ad. Images and Links - Here you'll choose the pictures you want to use (note that pictures with a large percentage of text in them will be denied by FB). If you want to try multiple pictures, FB will track the clicks and favor the use of the most successful pictures used. Lastly, choose where you want the ads to show on FB (desktop news feed, mobile news feed, desktop right column, audience network). Typically the desktop news feed and mobile news feed give the best returns. Your new Market Center and Agent Lead Capture Pages! Watch as the recruiting | bridge team lifts the curtain on your new Market Center and Agent Lead Capture Pages! Program Training. Watch as Adam and Josh discuss the new Program and Drip features. Now you can submit your leads to any Market Center!!! March Training with special guest Stacie States! Stacy States dropped by the webinar for a great discussion talking about her success and the way she utilizes recruiting | bridge and the time that she saves utilizing it. If you missed it then this is a must watch! Lynn Doty dropped by the webinar for a great discussion talking about her success and the keys to "working by referral". We also run through some training and great ideas to drive success! December Training with Rich Rector! Rich Rector dropped by the webinar to discuss our recruiting | bridge and how it is helping Team Leaders and Market Center drive success! recruiting | bridge training 3.0 8-15-14, 4.05 PM from Adam Roach on Vimeo. What to expect from recruiting | bridge! Here is a brief introduction from Patrick Woods to his agents on what to expect from recruiting | bridge. Here is our latest training video. It includes lots of new features including image uploads! We now have a place for agents to upload their image. Had a hard time remember each candidate? We now allow you to upload their image so you can always put a name to their face. Here is our latest training video. It includes lots of new features including the Gross Goal Worksheet! Here is a list of of the most recent updates. Updated the KWRI Pipeline report to support the new columns. We've now incorporated your Gross Goal Worksheet. We've added in the "Operating Principal" association. You asked for it! Here are the most recent updates that we just launched on July 14th. We added the new status, "Archived". 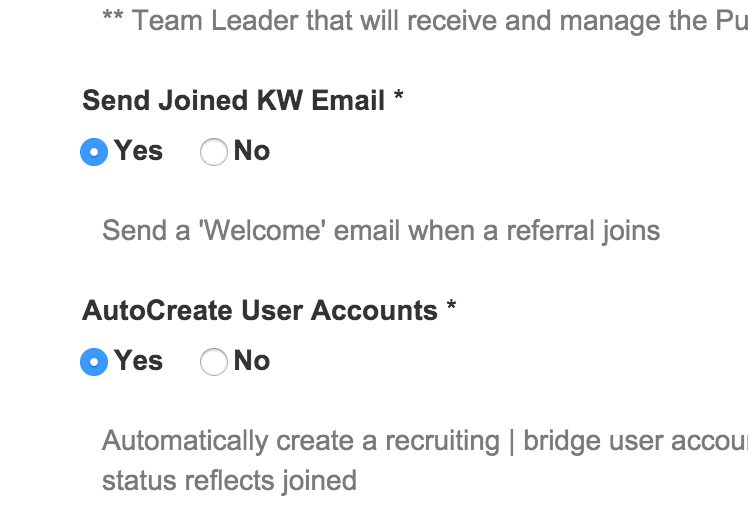 Now you can assign candidates that may not be a fit for KW or have no interest in joining KW this status. These users wont appear on your pipeline report or downloadable report but can still be accessed via the "Archived" Filter on the referrals page. Added clearer swim lanes to the Pipeline report sticky note page. Added a filter to the "referred by" field on the referrals page. This will allow TL's with large roster the ability to quickly type in a users name. In case you weren't able to attend our recruiting | bridge training last friday we've posted the video below. An excellent way to see all of our new features in action. recruiting | bridge training 2.0 7-11-14, 4.02 PM from Adam Roach on Vimeo. Happy Fourth of July Updates! We wanted to make you aware of some of the most recent updates that we've introduced. So we are excited and have started this blog. We will keep you aware of the most important updates, news and links to our content. We heard from a lot of Team Leaders that their agents wanted us to resend them their "Welcome email". Now we all Team Leaders to do this on their Users Page. You can simply resend them individually or resend them to all the users. ALC Graph. This will allow you to keep on top of the ALC and put the pressure on them get you quality leads from them. ©2019 recruiting | bridge All Rights Reserved.